The Supreme Court has ruled that investigations into the murder of the Belfast solicitor Pat Finucane have not been effective. Mr Finucane was shot by loyalist paramilitaries in front of his young family at their home in February 1989. His widow Geraldine Finucane challenged ex-prime minister David Cameron over his refusal to hold a public inquiry. The court said she had not shown that decision "was made in bad faith" and did not recommend a public inquiry. However it added that none of the previous inquiries into his death have been capable of establishing the full facts surrounding the killing. Image caption The Finucane family gathered outside the Supreme Court, describing the ruling as a "win"
The court ruled that there has not been an "Article 2 compliant inquiry" into the death. Article 2 refers to an individual's right to life under the European Convention on Human Rights (ECHR). Supreme Court justice Lord Kerr said: "There has not been an Article 2 compliant inquiry into the death of Patrick Finucane. "It does not follow that a public inquiry of the type which the appellant seeks must be ordered." "It is for the state to decide, in light of the incapacity of Sir Desmond de Silva's review and the inquiries which preceded it to meet the procedural requirement of Article 2, what form of investigation, if indeed any is now feasible, is required in order to meet that requirement." The Finucane family said the court had "vindicated" Mrs Finucane in her "relentless campaign for justice". Following the Supreme Court ruling, Taoiseach (Irish Prime Minister) Leo Varadkar said that a public inquiry must be established. 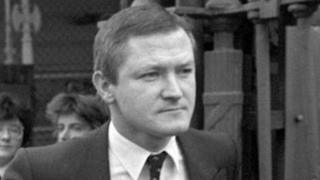 The Irish government has consistently called for a public inquiry into Mr Finucane's murder. Judges also said a previous undertaking given to Mrs Finucane for an inquiry was "clear and unambiguous". She had a "legitimate expectation" a public inquiry would be held into his death, they said. Mr Finucane was shot by loyalist paramilitaries in front of his young family at their home in Belfast in February 1989. He was a high-profile solicitor who lived and worked in Belfast and convicted members of the IRA were among his clients. The judges said that none of the inquiries into Mr Finucane's death, including the review carried out by Sir Desmond de Silva, had the capability "of establishing all the salient facts" about his killing or the liability of those who were responsible for his death. What is a public inquiry and why are they held? Public inquiries are set up to uncover the truth following scandals or perceived injustices. The test that must be satisfied in order to hold an inquiry is that it is of "public concern". While often chaired by a judge, a public inquiry is not a court of law and cannot determine liability. The aim is that public inquiries are independent. The government decides whether to hold an inquiry in the first place, appoints its head, and has to agree what it is going to cover. Inquiries can then make recommendations about how things should change but governments do not have to accept them. An example of a public inquiry is the inquiry into the GP and serial killer Harold Shipman, chaired by Dame Janet Smith - a High Court judge. The judges added that Mrs Finucane had not shown that the government's decision against holding a public inquiry "was made in bad faith or that it was not based on genuine policy grounds". In 2011, the family met with then prime minister David Cameron. Mr Cameron failed to order a public inquiry but instead proposed a review conducted by a leading QC. In his 2012 review, Sir Desmond de Silva QC said the state had facilitated Mr Finucane's killing and made relentless efforts to stop the killers being caught. However, his report concluded there had been "no overarching state conspiracy". Mr Finucane's family argued that the report left many questions unanswered. Reacting to Wednesday's judgement, the family thanked the Supreme Court justices for their "careful and respectful" consideration of the case. 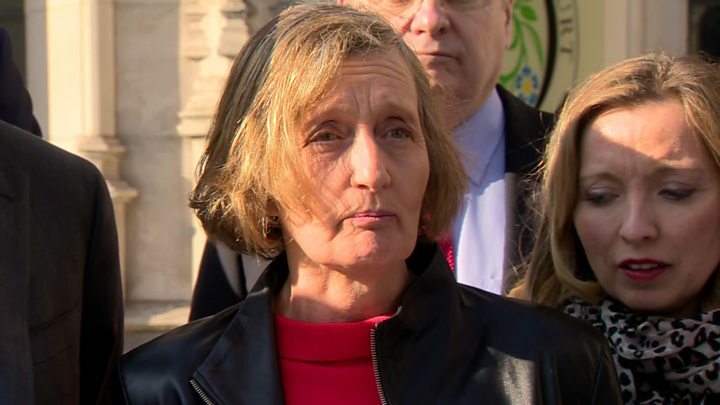 Giving a statement outside the Supreme Court in London after the ruling, Geraldine Finucane said it was a "historic moment". She added: "The British government now knows that it cannot conceal the truth any longer. They have now been told this by the highest court in the land. "It is time for the murder of Pat Finucane to be properly and publicly investigated in a public inquiry. Nothing less will suffice." Peter Madden, of Madden & Finucane said that "only a judicial public inquiry can deliver the objective, which is to uncover the truth of what actually happened". They claim that an inquiry is the only way to establish the truth about what happened and to hold those responsible to account. Last June, Barry MacDonald QC told the five Supreme Court judges that the government had reneged on a promise to the Fincuane family to hold an inquiry. He told the judges the case was about the responsibility of the judiciary in the face of what he called a direct attack on the legal system. In February 2017, the Court of Appeal in Belfast dismissed an appeal against the decision not to hold a public inquiry, ruling that the government had acted lawfully.